Riccardo Tisci infused a tribal aesthetic into Givenchy’s spring collection. 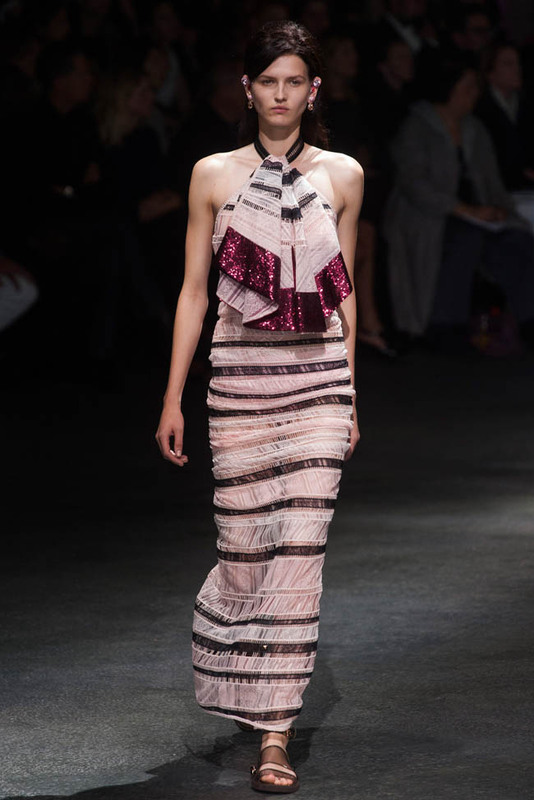 Romantic draping, metal fabrics and earthy colors were a major focus of the new season. 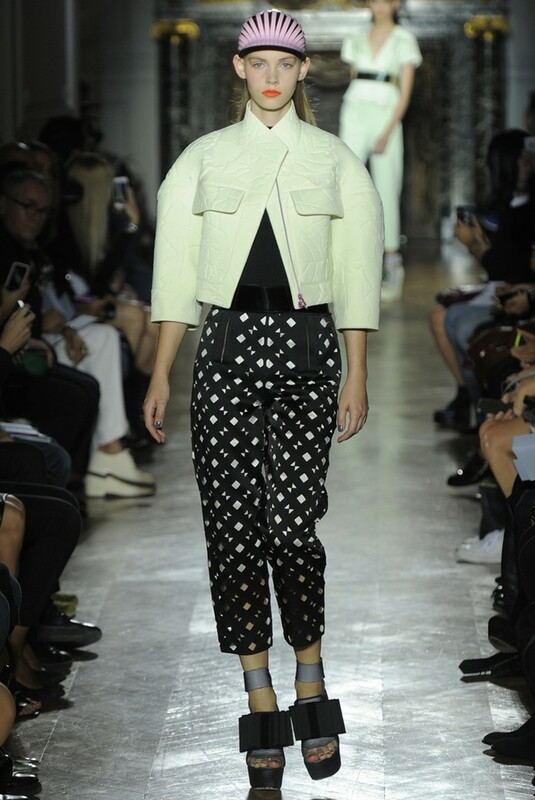 Prints were minimized compared to past seasons and the result was a spring outing rooted in a focus on design. French designer Maxime Simoens delivered his trademark color-blocking with a sporty undertone for his namesake label’s spring collection. In mostly black and white, it’s certainly a bold statement for the new season. 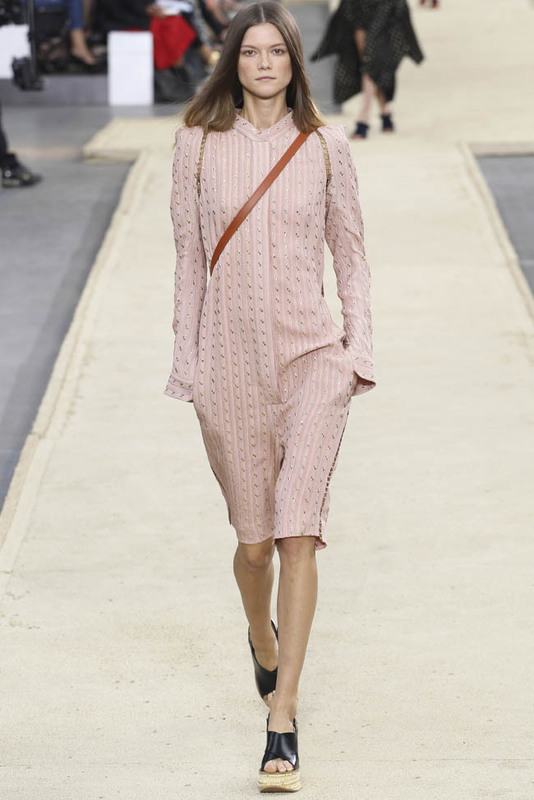 Chloe creative director Clare Waight Keller delivered a minimal outing for spring, with a focus on sandy tones and pieces like tunics and maxi dresses inspired by desert style. Akris creative director Albert Kriemler focused on the Swiss tradition of lace and embroidery work for the label’s spring 2014 collection. A relaxed silhouette with a feminine ease was embraced for the new season. Phoebe Philo took Celine in a new direction for spring, replacing a minimal austerity with something more colorful when it came to the collection’s graffiti inspired prints. The new season also embraced romantic pleats with sheer skirts and dresses. John Galliano’s Bill Gaytten offered a spring collection which focused on a youthful outing of Japanese inspired designs with origami-like folds and modern structure. At Kenzo the theme was water; ocean-like colors and wave shapes took over the spring runway show. The vibe was cool and contemporary with a focus on pattern play.